We are pleased to annouce our third solo exhibition, 'Chun' for Chinese-Canadian artist, Zhang He. 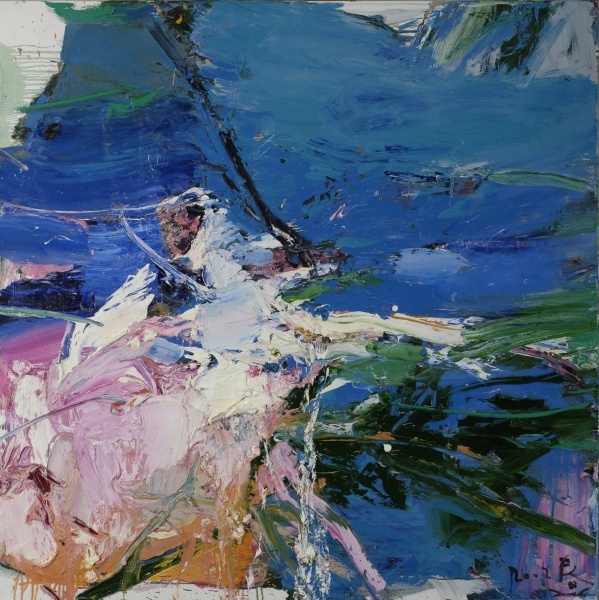 Over the past decade, Zhang He has mesmerized us with us vigorous compositions of still lifes and figures in increasing abstraction. In this new exhibition titled Chun, the artist's rich imagination leads him into a deeper exploration of the human psyche. For Zhang, Chun not only signifies the season Spring, but also includes all the variations of emotional topography associated with this time of year. This hopeful and inclusive cycle captures the artist's response to the fluctuating phases of the season. Vitality, joy, desire, lust, and revival serve as the motives for these paintings. The jagged energy of the reds interacts with the blacks, blues, greens and whites, engulfing the paintings whole. A Fiery Translation in Red rekindles an infernal surge of desire. The sculptural tongues of paint melt into a roiling sea. Our eyes navigate his painted world of eternal flux.